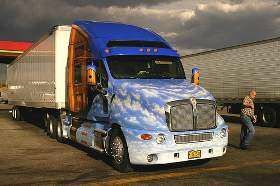 The methods described thus far apply to the more common tractor-trailer combinations. 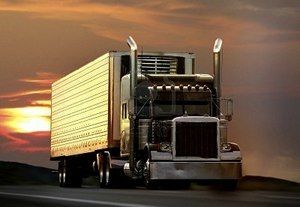 However, there are other ways of coupling and uncoupling the many types of truck-trailer and tractor-trailer combinations in use. There are too many to cover in this manual. Learn the correct way to couple the vehicle(s) you will drive according to the manufacturer and/or owner. Locking jaws around shank, not head of kingpin. Release arm properly seated and safety latch/lock engage. Air lines properly connected to glad hands; no air leaks; properly secured with enough slack for turns. All lines free of damage. If air powered — no air leaks. Fifth wheel is not so far forward that tractor frame will hit landing gear or cab will hit the trailer during turn. If power operated, no air or hydraulic leak. Air lines supported and glad hands properly connected. If spare tire is on converter gear (dolly), make sure it is secured. Pintle-eye of dolly in place in pintle hook of trailer(s). Safety chains secured to trailer(s). Light cords firmly in sockets on trailer. Which of the following shut off valve positions is incorrect?